Herculaneum, was an ancient Roman resort town on the coast south of Naples destroyed, like Pompeii, by the volcanic eruption of Mount Vesuvius in 79 a.D.
Herculaneum, unlike Pompeii which was destroyed and covered by volcanic rocks and pumices, was covered by tons of volcanic mud that filled every cavity of houses, streets and buildings, sealing them and preserving them in good condition for almost 2000 years. 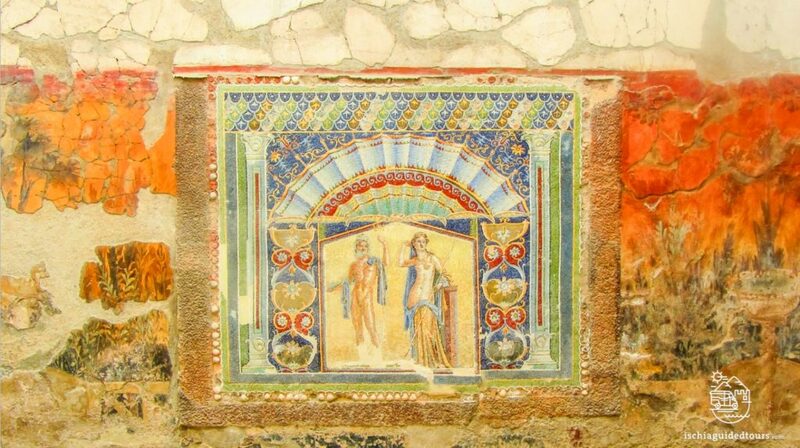 The area once occupied by the ancient town of Herculaneum is today only partially excavated due to the fact that the modern city had been built right on top of the ancient site and it is not possible to excavate futher. The area of the archaeological site open to the public represents a 1/4 of the original ancient town but it has some incredible and well preserved features such as pieces of charred furniture and food, wooden roofs, frescoes and mosaics. The tour starts from Naples port (other pick up locations available on request) and by private taxi or public transport we reach the archaeological site of Herculaneum. 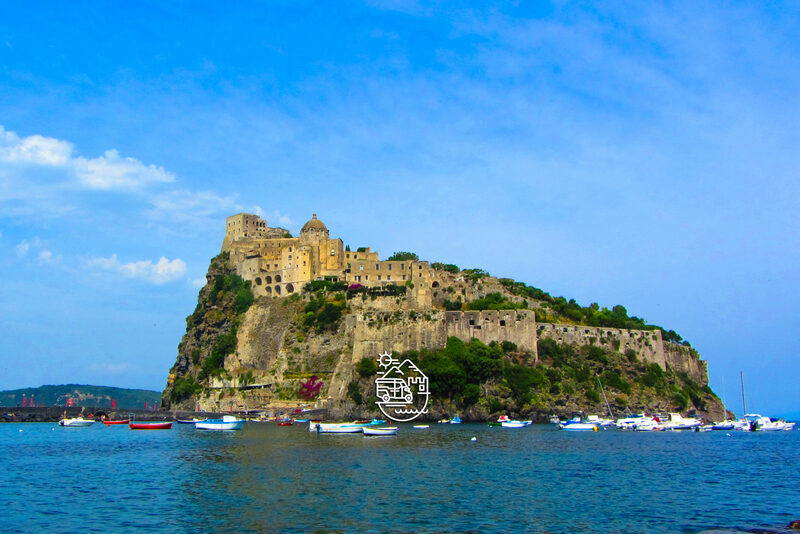 We take a guided tour of the ancient city for around 2 hours, visiting the private roman houses, the public baths, the many shops and taverns of the town and the boathouses where more than 250 skeletons were found hidden near the beach, trying to escape from the fury of the volcano, the so called “skeletons of the fugitive”. After our visit we return back to Naples by public bus or taxi.